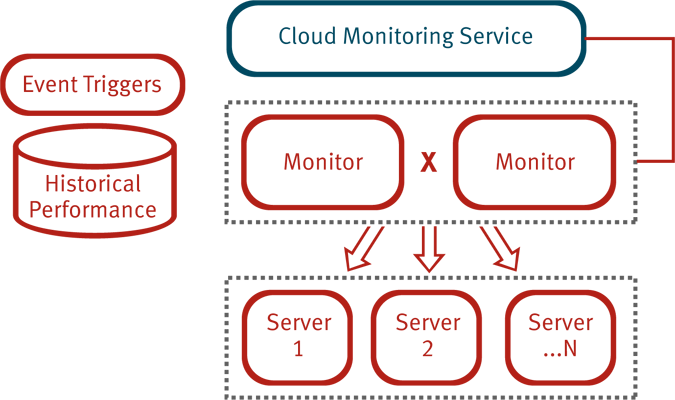 The Tough Cloud Monitoring solution is our next generation offering targeting virtualized workloads, as well as PaaS services, housed in either traditional data centers or private cloud environments. Some of our customers currently have 1,000's of virtualized work loads operating and it is clear that the next generation service providers will have 10's of thousands running. Our design needed to easily scale itself from both a data collection perspective and burst storage. We bit the bullet and designed a solution from scratch to use Apache Cassandra at the core. This enabled us to leverage it's built-in cross-data center peer replication schemes and dynamic partitioning. In addition, Cassandra was a good fit for us because it was designed to accept very fast (stream oriented) writes of data. In building our early private clouds, we were surprised to see that most of the system monitoring tools were "closed" systems. They collected the data but didn't make it easily available to other systems; they were designed to deliver the information to humans in HTML. This was a non-starter for us since the new world is about achieving higher levels of system automation (not human tasking). Naturally, we went with the de facto standard Amazon Web Services and the CloudWatch API. Our solution delivers full compatibility with CloudWatch from a WSDL, AWS Query and command line perspective. This makes it real easy for the monitoring data to be consumed by other services like Auto Scale. By supporting the AWS service interface model, we inherited this feature. 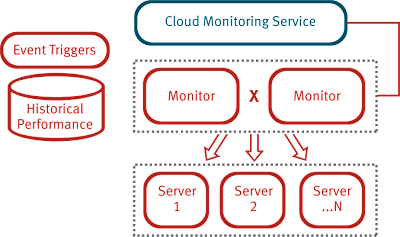 Just as CloudWatch monitors services like their Elastic Load Balancer and Relational Data Services, we'll be providing similar support for internal PaaS platforms. We believe that we have achieved all of our design goals. The Tough Cloud Monitor is available today for traditional data centers, private clouds or service providers.